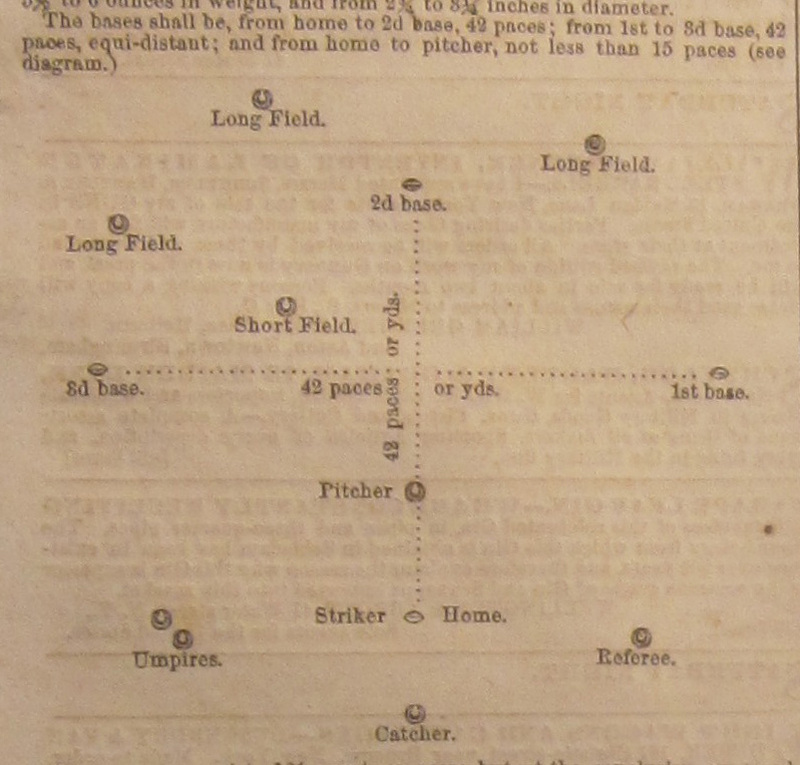 On December 6, 1857, Porter’s Spirit of the Times published an article on the rules of base ball. The rules from that convention were immortalized in Doc’s Laws of Base Ball. The diagram of the field prior to the 1857 convention. Doc was called out as one of the principal players of the “First Nine”.